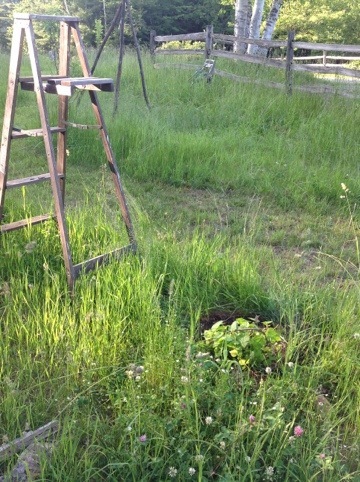 This summer I am growing, of my own volition and for my own edification, a hops orchard. At harvest time, in autumn, the hops cones will be sold to Adirondack Brew Pub, the hippest brewery in the Lake George-Saratoga region. 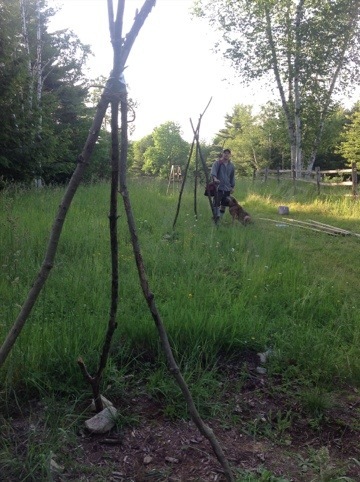 Shown in the photos are the teepee structures used for trellising. Hops grow as high as they allowed to. They can easily scale a telephone pole. 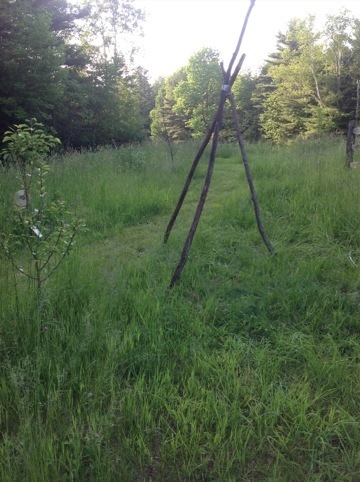 The teepees give a climbing format, and all will be connected with strong fishing line for further horizontal growth. 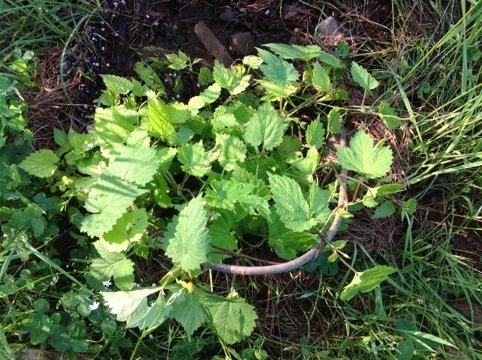 The hops are relatively small at this stage; in the coming months it is possible the vines will gain 2 feet per day when conditions are ideal. 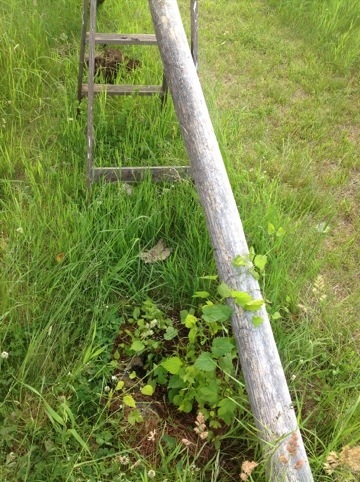 A side benefit to the delightful reality of a hops orchard is the habitat benefit of the plants. Many species of butterflies are attracted to these plants. (Technically hops are considered an herb.) Butterfly larvae eat the foliage, adults stop by for nectar and then return to lay eggs. Thus far this project has been practiced in downtime and happy pockets of quiet moments. In my mind it is synonymous with everything that’s nice about summer. I can’t wait to see how the different varieties grow. This is, of course, strictly an organic methods project. We’ve used several design and prevention methods to set ourselves up for circumventing many issues; if these pest or disease problems arise we will be armed with information about organic management practices.